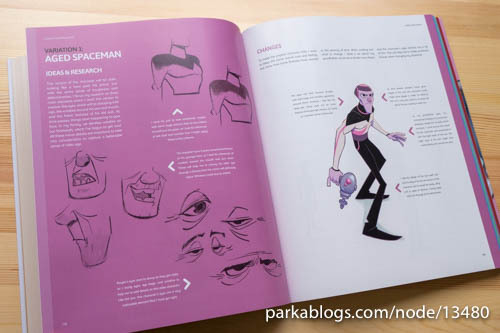 I still remember a time when books on character design were a rarity. 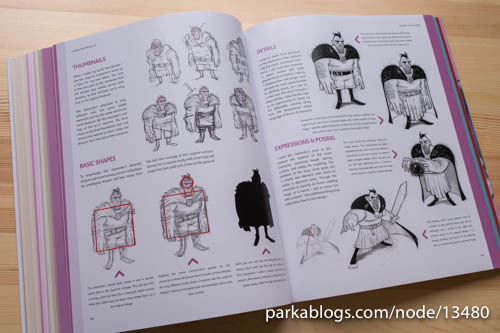 Fast forward a few years, we now have so many wonderful character design resources and instructional books available to us. 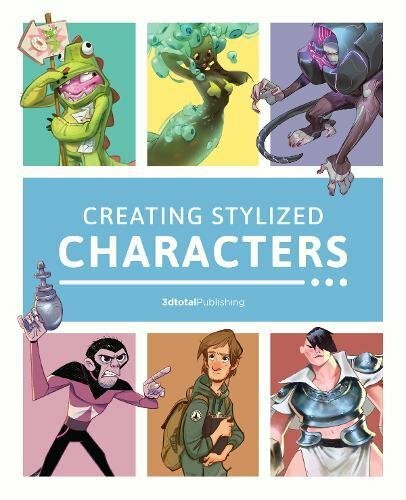 Creating Stylized Characters is a project based book filled with many tutorials you can follow along. 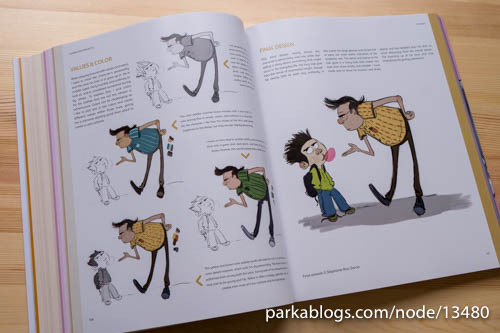 The book starts of with instruction poses, expressions, colours and thumbnailing. In other words, the basics, as taught by Ida Hem. Then in goes into the individual character projects. 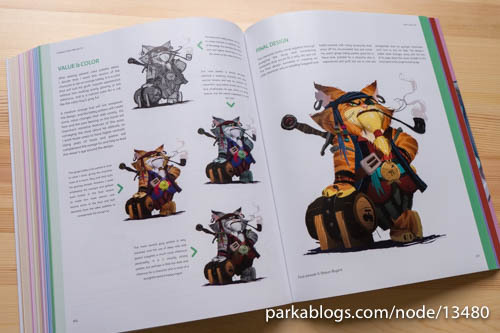 Each character project is a step by step exploration on the different aspects of the design process, starting with the idea and concept, moving on to research, to create thumbnails, basic shapes, details, expressions, poses, colours and adding variations to get more iterations from the same character. 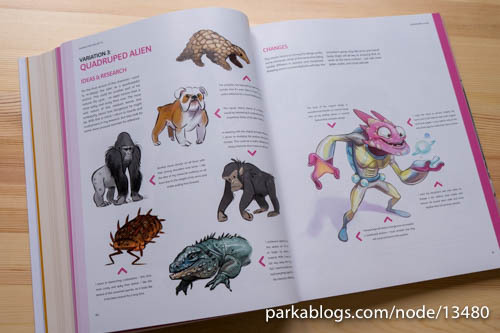 The illustrated examples are beautiful. Instructions are easy to follow along. 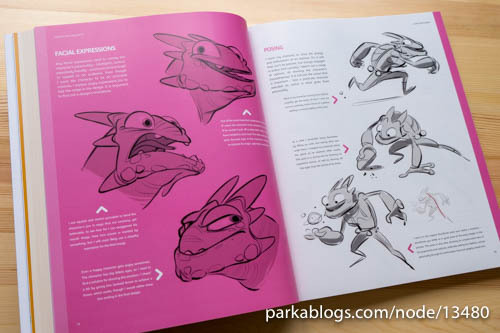 This is an insightful and useful resource for anyone who wants to learn more and get better at character design. The book's a thick 264-page paperback. And if you like books on character design, also check out Fantasy Genesis Characters, The Silver Way and Sketching from the Imagination: Characters. 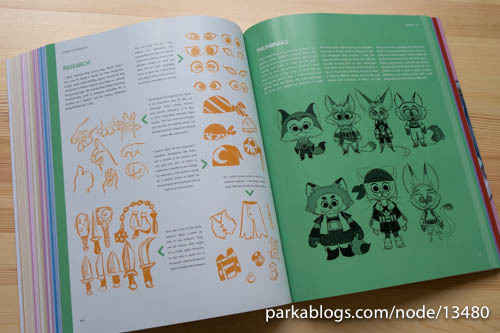 I am interested to draw people on a more simple and funny way, that why I am looking for a character design book. Which book would you recommend for someone who want to own only one? For that, I recommend The Silver Way by Stephen Silver.